I was talking with a friend the other day and she asked if I knew any good Sangria recipes. It made me start to think, and that was the genesis of this post. Sangria is a wine punch which is mostly associated with Spain and Portugal, although it is now made in nearly every country of the world. 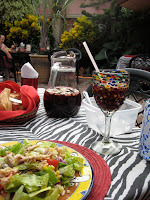 As a side note, I also read on another person’s blog that the Spanish actually don’t drink it. It’s a tourist item. 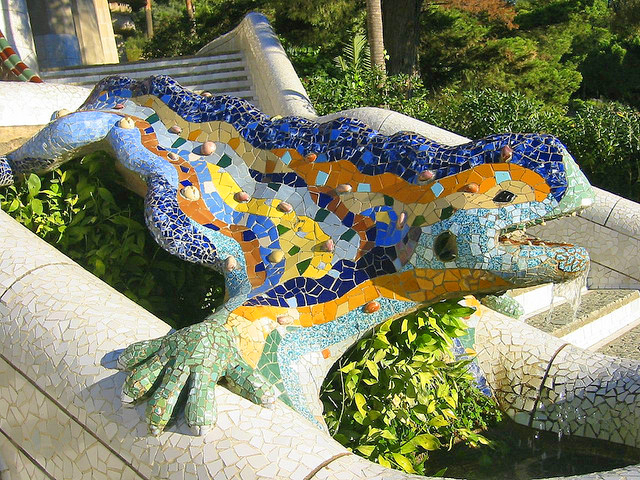 So just be aware the next time you're in España you may want to order something else! Being that this is a mixture of fruit and wine which is heavily dependent on where it’s bring made—and the time of year—there is no such thing as a “traditional” Sangria recipe. All Sangria recipes require fresh fruit. The most common are oranges, lemons, and often melon and/or grapes. However, because of the ability to tailor it to individual taste and the seasonal availability of fruit, you can find almost anything floating in it, including apples, peaches, bananas, limes, and berries. There is also White Sangria which has the same general ingredients, but uses white wine instead of red. Cava Sangria also exists, which is made with sparkling wine. While classic red Sangria uses brandy, white Sangria most usually uses orange liqueur (pick your favorite kind) or sometimes even light rum. 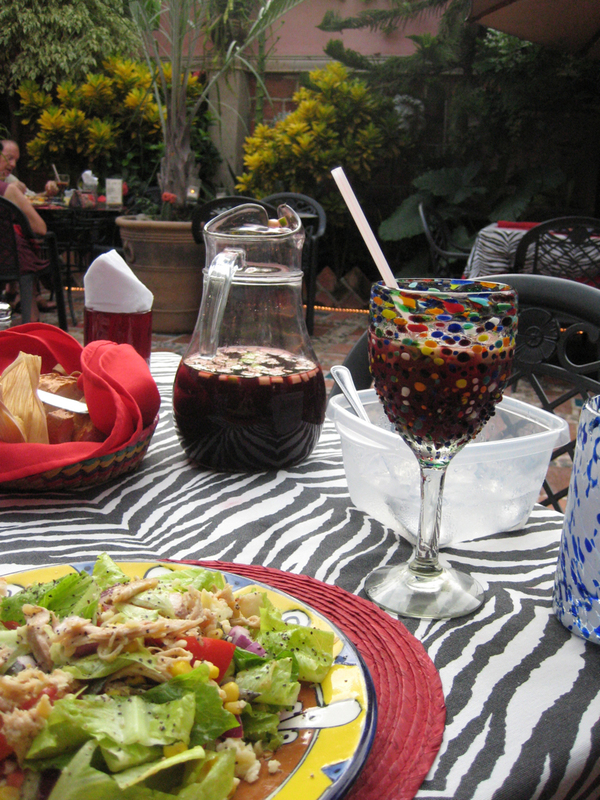 Fortifying your Sangria with another liquor is important. This raises the alcohol content back up closer to the original wine which is what you're after. Nearly all Sangrias also use some sort of “fizzy” liquid, be that soda or sparkling wine—but not all. 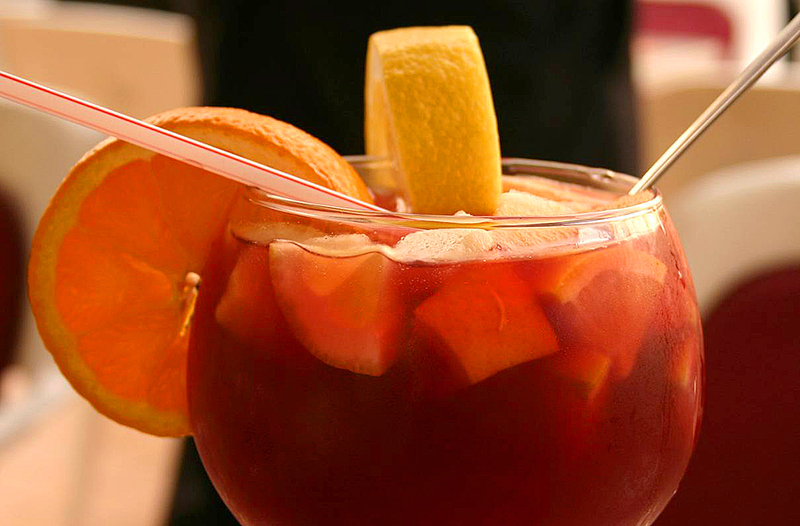 So apparently it’s up to you to determine what your favorite Sangria will be. For your edification, I am including three recipes that have good reviews. Don't forget to visit the originating websites, which are shown with each recipe. Take your pick from American, Classic Spanish or White. September, 2001 issue of Bon Appetit. It comes from the Malaga Tapas & Bar in Austin, TX. Stir together the wine, soda and orange juice, 8 lime slices, 8 lemon slices, all the orange slices, brandy, sugar, Cointreau, grenadine, lemon juice and lime juice in a large pitcher. Let stand 30 minutes. Fill 8 large wineglasses with ice cubes. Divide sangria among glasses. Garnish each with remaining lime and lemon slices and serve. This recipe has no rating, but comes from a reputable source. 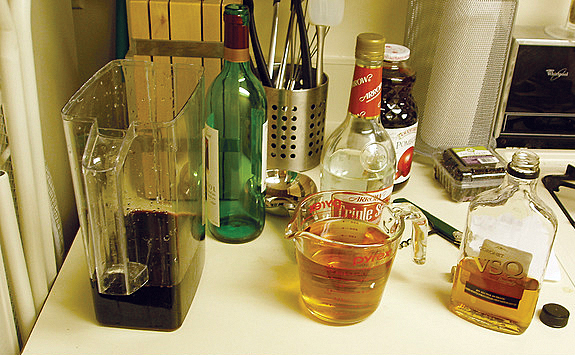 In large pitcher or jug, combine all ingredients except club soda. Lightly bruise fruit with a wooden spoon and stir to dissolve sugar (tip: a small amount of wine can be heated and stirred into sugar first to ensure that all granules dissolve). Refrigerate overnight to allow flavors to mingle. 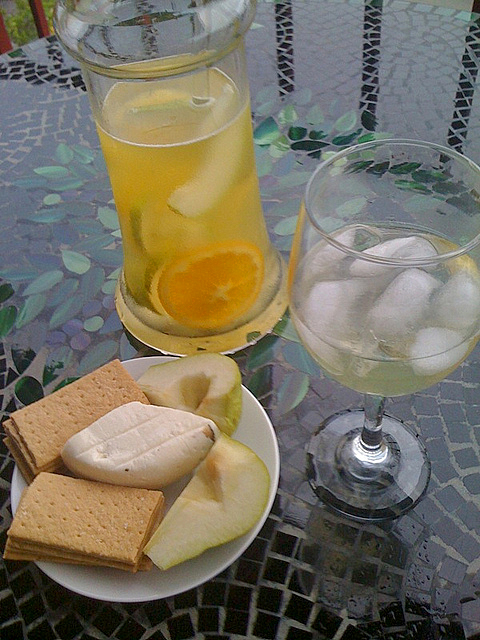 Just prior to serving, add club soda (and ice, if desired). So there you go. Let’s start the patio season early! !